Lieutenant Colonel (Reserves) Jordan Herzberg has been active in diplomacy, security, political and business affairs in Israel for over 20 years. Serving as a track two diplomat for several Israeli Prime Ministers, LTC Herzberg participated in hundreds of hours of back channel negotiations with neighboring Arab heads of state, and has advised several Israeli government ministers. Volunteering as a lone soldier in the Israel Defense Forces Paratrooper Brigade, LTC Herzberg served in several different combat theatres, including extensive military service in Lebanon and Judea/Samaria. Jordan currently serves as a commander in a combined paratroop/infantry/armored division. He also served as Chairman of Mechinat Lachish Meitarim, one of Israel's largest gap year programs for young men and women, secular and observant, and is on the board of the Pardes Institute of Jewish Studies. 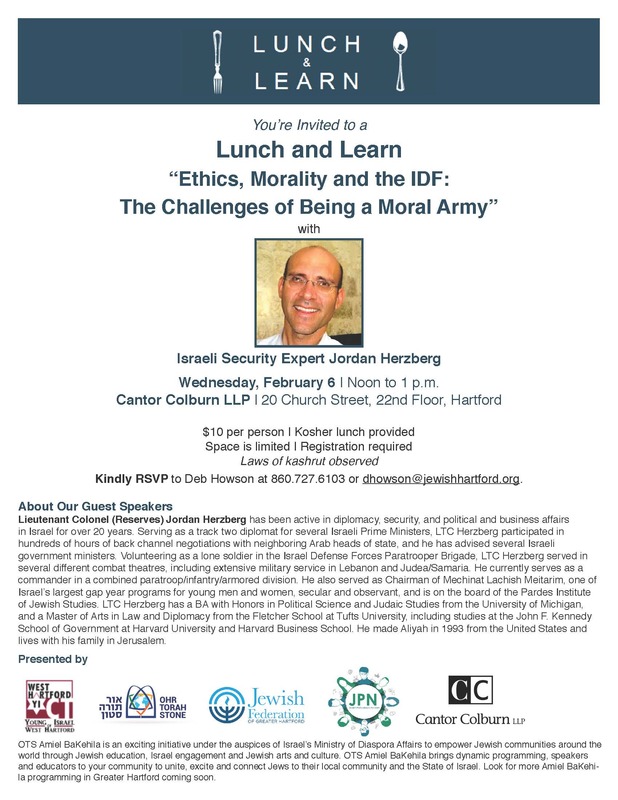 LTC Herzberg has a BA with Honors in Political Science and Judaic Studies from the University of Michigan, and a Master of Arts in Law and Diplomacy from the Fletcher School at Tufts University, including studies at the John F. Kennedy School of Government at Harvard University and Harvard Business School. He made Aliyah in 1993 from the United States, and lives with his family in Jerusalem.